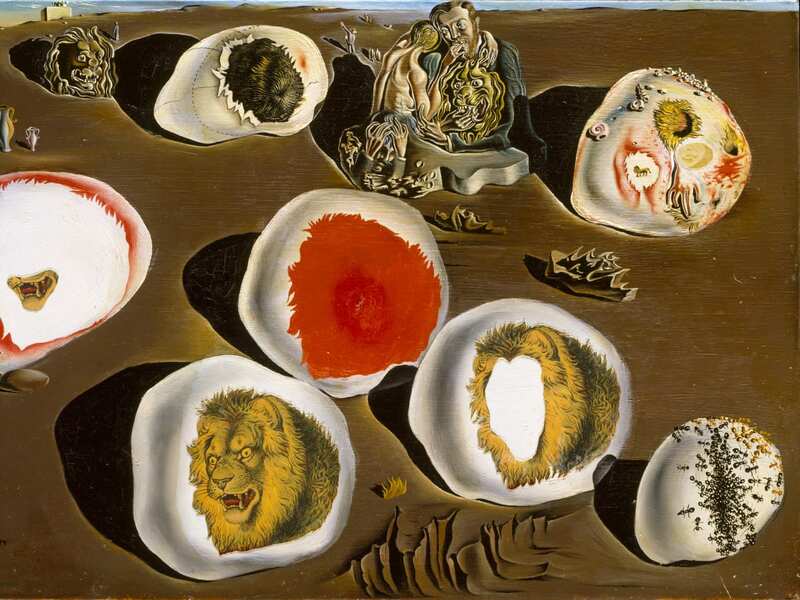 This fall, the Meadows Museum, SMU, will present a major exhibition of works by Salvador Dalí (1904–1989), exploring an overlooked or lesser-known aspect of the artist’s oeuvre. With Dalí: Poetics of the Small, 1929–1936, the Meadows is organizing the first in-depth exploration of the artist’s small-scale paintings—some measuring just over a foot, and others as small as 3 by 2 inches. A major part of the artist’s output during the early part of his Surrealist period (1929–1936), these small works reflect Dalí’s precise style of painting. 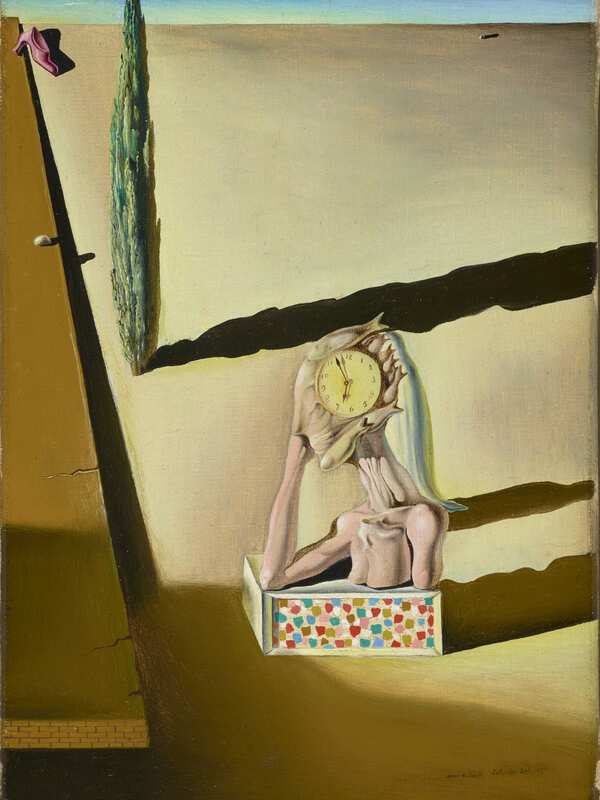 and The Weaning of Furniture-Nutrition (1934, The Dalí Museum, St. Petersburg, Florida). 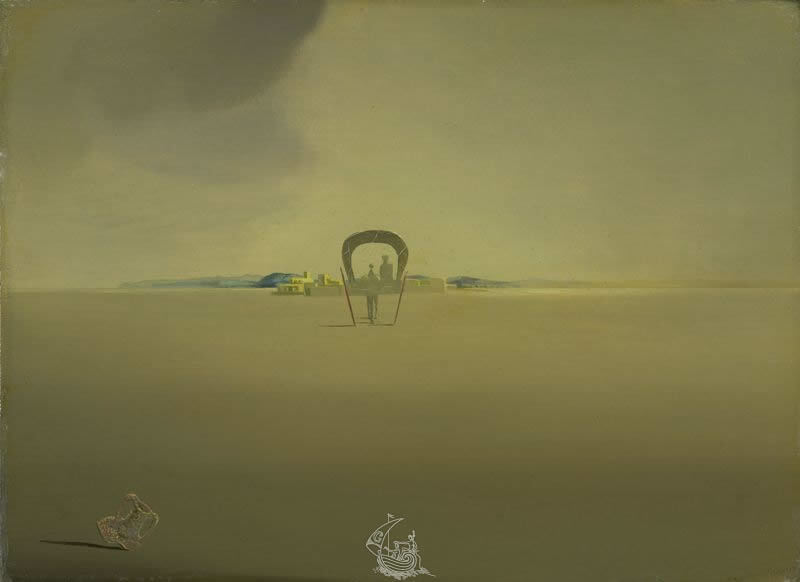 Diminutive in scale, these paintings reflect Dalí’s distinctive Surrealist style, with familiar but distorted figures often set against a dramatic or barren landscape. Plans for the exhibition began after the Meadows acquired Dalí’s small-scale painting The Fish Man (L’homme poisson, 1930) in 2014, and asked the conservation department at the Kimbell Art Museum, Fort Worth, to conduct technical analysis of the work. Despite much art historical study of Dalí’s life and body of work, very few such technical analyses had been made of his small-scale paintings. The results of that research—which revealed extensive underdrawing and changes to the composition before it was completed—encouraged the Meadows to begin exploring the subject of Dalí’s cabinet paintings in more depth.Under the leadership of Claire Barry, the Kimbell’s director of conservation, X-radiography and infrared reflectography, as well as pigment analysis and other tests, were conducted on nine of the paintings to be presented in this exhibition. 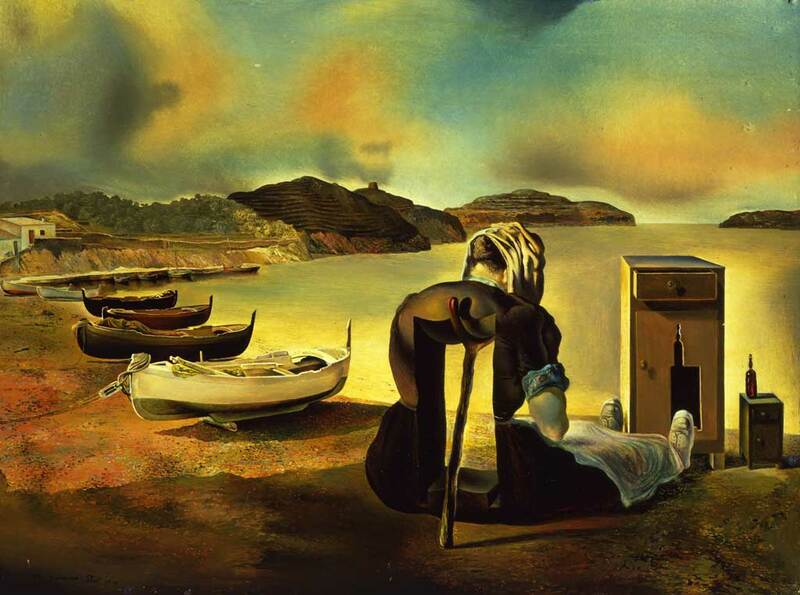 The resulting data provides a better understanding of Dalí’s artistic technique and working process during the 1930s, but also highlights an interesting set of contradictions for the artist. 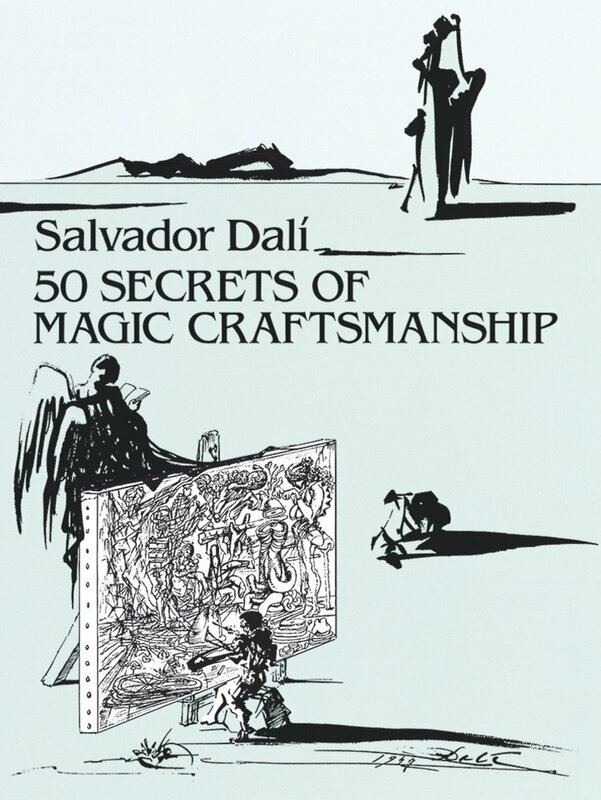 In 1948, Dalí’published his own book on painting and artistry, 50 Secrets ofMagic Craftsmanship, in which he shares his perspective on what makes for a great work of art. Curiously, it turns out that Dalí largely did not take his own advice. For example, where Dalí’s book discourages graphite outlines on a canvas or panel as a precursor to painting, the technical examination of these works shows that he consistently did exactly that. Similarly, the artist’s advice on choosing paint types, the mixing of pigments, or how best to paint elements such as the sky, were all clearly recommendations that he himself diverged from and sometimes evencontradicted in his own practice. 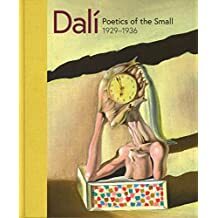 Dalí: Poetics of the Small, 1929–1936 is co-curated by Roglán and Shelley DeMaria, Meadows Museum Curatorial Assistant. The exhibition catalogue includes full-color reproductions of the works and is illustrated with over 140 additional comparative, historical, and technical images. The accompanying texts present new art historical and technical research, including: an essay addressing the influence of Vermeer’s paintingson Dalí’s own style by Mark Roglán, Meadows Museum Director; an essay by Shelley DeMaria exploring Dalí’s contemporaneous influences such as photography and collage; an essay presenting the results of the technical study of several works by Claire Barry, Kimbell Art Museum Director of Conservation, and Peter Van de Moortel, Assistant Paintings Conservator at the Kimbell Art Museum; and, also by DeMaria, object entries for each work tracing the artist’s iconography throughout the eight-year period under examination. The details of the Kimbell Conservation Department’s analysis are published in the exhibition catalogue in an essay that discusses Dalí’s compositional design; the underdrawing, painted cutouts, and pictorial delineation revealed by the study; and the artist’s employment of pigments, grounds, and texture.